The genre-busting, time-hopping epic heroine crossover continues! In the midst of WWII, reluctant allies Miss Fury and the Black Sparrow are joined by an epic host of heroines from different worlds and eras to fight an invasion taking place right on Broadway! 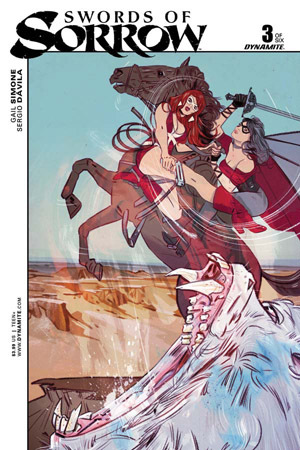 Featuring Red Sonja, Eva (the daughter of Dracula), Lady Zorro, and more! Don't miss the funnest, bawdiest, sword-slingingest crossover event ever!